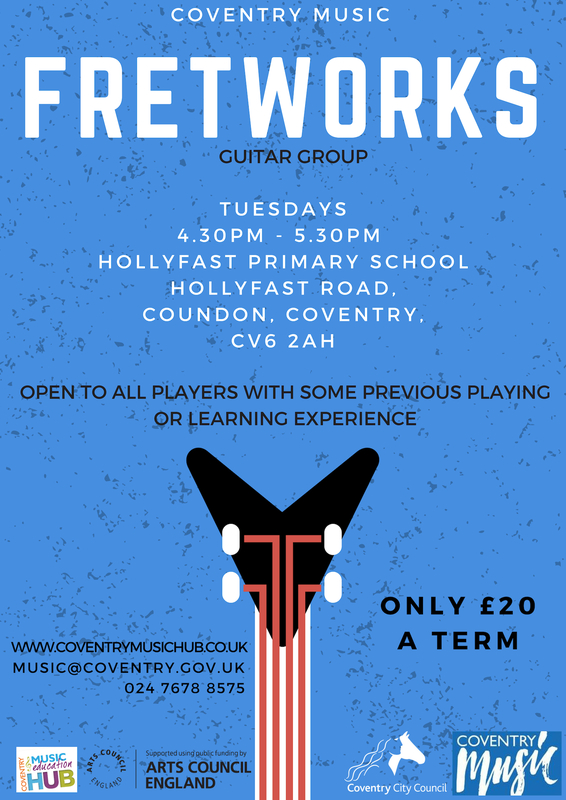 Coventry Music Guitar groups offer the opportunity for students to progress as part of an ensemble on classical, acoustic or electric instruments, or a combination of these. Students learn technique, tuning and notation (standard and tablature) alongside a range of different styles. Guitar students learn to improvise and compose as well as performing and listening critically to a variety of genres. They learn something of the history of the instrument and the music they are playing, and are given opportunities to perform at regular concerts in prestigious venues such as the Belgrade Theatre, Warwick Arts Centre and Coventry Cathedral. These groups are also a great opportunity to learn other fretted instruments such as mandolin, ukulele and bass guitar.